When Mrs O’Donnell was designing her new property, she decided that the perfect compliment to the PV system that was to be installed on her property would be a heat pump. However, because of the lack of garden space, ground source was immediately removed from the equation. This left an air source heat pump as the most viable piece of equipment to install. Provision had already been made to ensure that the radiators installed in the property were much larger than would be traditionally installed. This ensured that the heat pump installation would be able to run at a comfortable 45°C even at the coldest points of the year, without flow temperature back up from another heating source. Whilst financial incentives were not the driving force behind looking at renewable heating, the renewable heat incentive payments were a welcome bonus. 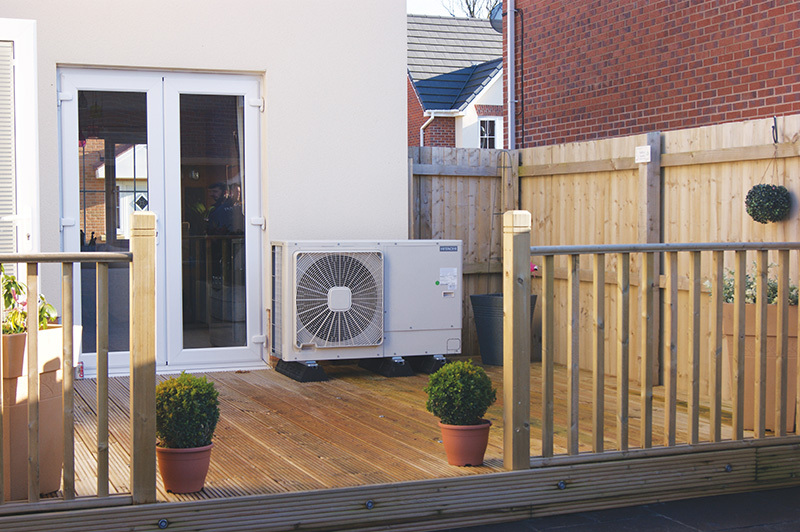 At the present time, without the benefit of inflationary percentages, the air source heat pump system will benefit Mrs O’Donnell by £670.00 per annum. Based upon fuel savings and RHI payments on the air source heat pump alone, the payback will equate to around 10 years which has far exceeded the customers expectations.